At the end of a sweeping, oak-lined driveway; an easy twenty-five minute drive from Hawkes Bay’s Napier airport, sits one of New Zealand’s most charming luxury accommodation retreats. 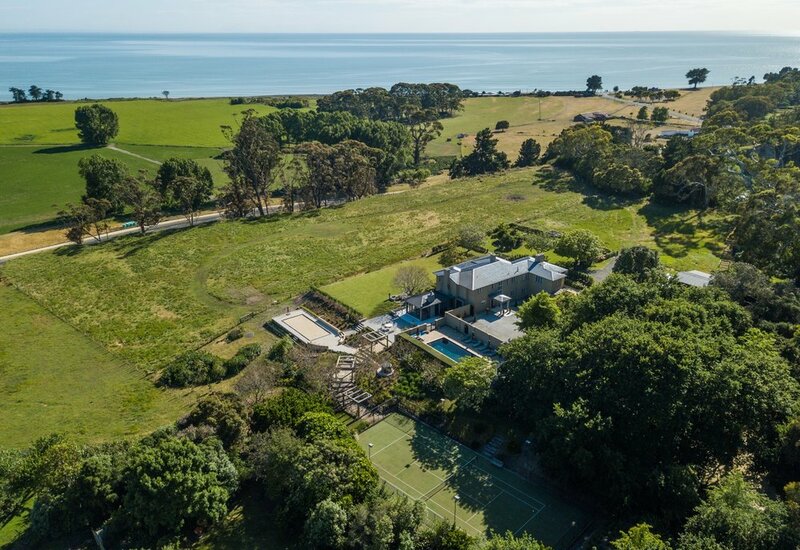 Summerlee is a magnificent secluded property set in 10 acres of gardens with spectacular coastal views of a sweeping Hawkes Bay coastline. A coastal village, wineries, restaurants, a renown surf break, rivers and one of the world’s top golf courses are at your doorstep. The original homestead of Cape Kidnappers Station; has recently undergone a major renovation, splendidly restored to a very high level and providing many functional spaces to enjoy. The expansive landscape encompasses a tennis court; large petanque court, separate pool and pool house area, spa, croquet and a highly appointed outdoor room. Go out and enjoy the many activites the Hawkes Bay has to offer with its renown climate, then return to your own private paradise, or retreat from the world for a few days in private luxury accommodation with unrivalled charm and character. Plenty of room for the chef, nanny and tutor too. We were completely blown away by the extensive renovation that has taken place, globally it doesn’t get much better than this. Wining and dining progressively in the various areas over the course of the weekend was so much fun. Hugely functional for group catering and a special treat with our favourite Italian chef Raffaella. Golf at Kidnappers, swims, tennis, petanque and yoga on the front lawn – we were in HEAVEN!! This beautifully presented property offered every facility and many activities to help make our stay memorable. This was the perfect place to have our extended family stay for a special occasion, lots of different break out areas to cater for the various ages. We appreciated the privacy in a stunning location. For the energetic the Cape Kidnappers walk is a must. Summerlee was a superb place for a group to stay while playing golf at Cape Kidnappers. Stunning decor yet homely and cosy with the open fires and central heating, like your own private lodge. We would love to return.